Sarah McDonald of Holy Cow fame in addition to praising the Sikh's approach to music describes the Sikhs as the Irish of India for being the butts of jokes and emblematic of India's 'hair fetish'. I disagree. I think they're Klingons. They're both tall, massive shoulders, fearsome beards, and a sense of honour you could sharpen a knife on. After two overnight train rides, with a day in New Delhi in between; I arrive in Amritsar. There's a courtesy bus from the train station to the Golden Temple, but even at the time we arrive the bus is packed with people hanging off the roof. So two of us jump into a taxi. And 200m from the Golden Temple complex we jump out again. No traffic within 200m. Guess what this means: No horns honking, engines revving, car radios blaring. Sarah might have been onto something saying that Sikhs admire slience! 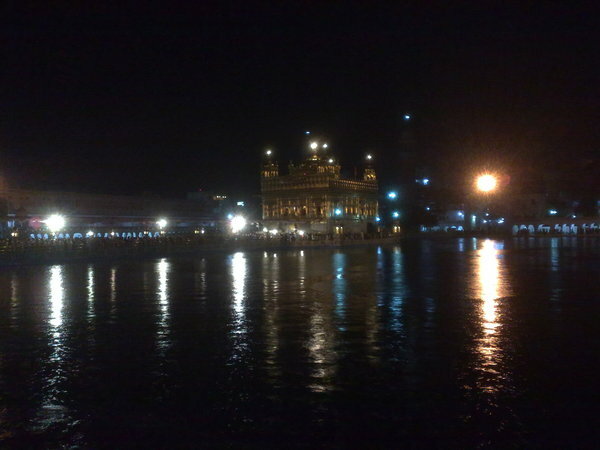 The Golden temple complex is huge. 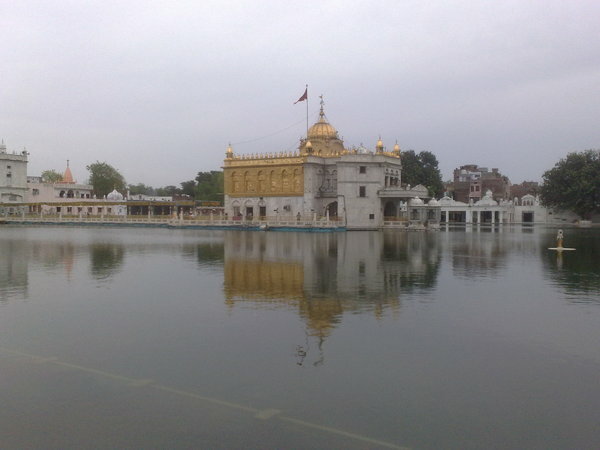 Right at the center is the Golden temple, in the middle of a lake called the pool of nectar. Around the lake everything is white. White tiles on the ground, white matching buildings on each side. 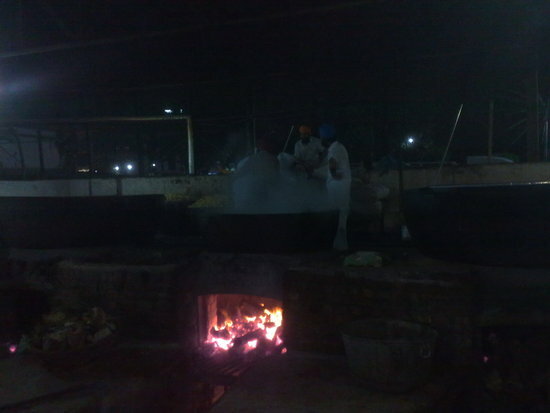 Sikh volunteers mop the tiles 24/7. The temple complex isn't only silent, its spotless. One of the buildings is a museum depicting Sikhs and the rich variety of tortures they've endured over the years without ever yielding. But pride of place is granted to a memorial to Baba Deep Singh, once a fearsome warrior who had retired to write poetry. When he heard that Afghans had invaded the Golden temple he saddled up, and vowed not to rest until the baddies had been driven out. 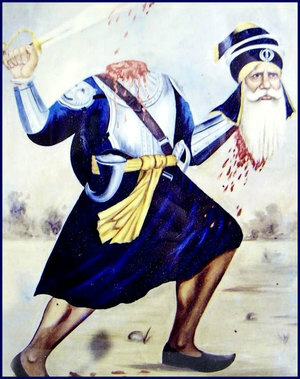 Unfortunately his head was chopped off before he even reached Amritsar. One of his companions, knowing a man like Baba Deep would not be stopped by the mere loss of his head, reminded him of his promise. Baba Deep grabbed his head, reached Amritsar, chopped of a few heads himself, and then expired satisfied in sight of the Golden temple. 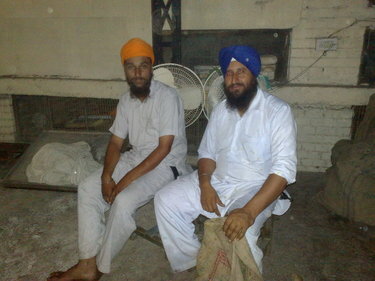 It's hard not to admire the Sikhs. They are deeply bound to their fate, and welcoming to anyone who wants to investigate, without feeling the need to ram it down the throat of the uninterested. Interested or not you're welcome to visit their temple, sleep for free in their pilgrim's dormitory, and eat for free in the mass dining room, which is a marvel of crowd logistics. Apparently the Sikh dining room where everybody eats communally is a massive up yours to the Hindu caste system where higher castes cannot eat food contaminated by lower castes. Everybody is equal and hungry in the Sikh approach. In the rest of India bringing up children seems to be very much a woman's job. Despite their impressive Klingon appearance, Sikh men don't seem to agree, and I find it rather touching to see a huge, ugly, fearsome, Klingon like Sikh man tenderly holding a 3 month old baby relaxing comfortably in his arms, with the mother looking on unconcerned. 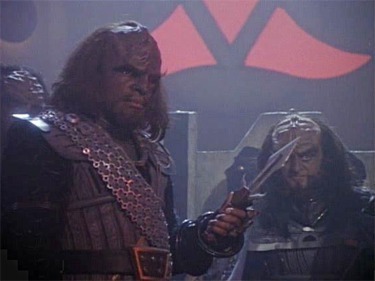 Incidentally as Sikh women don't have beards or turbans they don't really look like Klingons, but I decided not to test their fighting skills. A common entertainment in Amritsar is to head to the Pakistan border at Attari/Wagah 30km West for the closing of the border ceremony. Its insanely popular and we have to queue for 30 minutes just to go through the security check. However foreigners are given priority and we get seats nice and close to the action. Only the VIPs have it better. The soldiers are tall, and in my albeit inexpert opinion seriously handsome. I guess they scour the entire Indian army to find candidates for the border ceremony. There's a long buildup to the ceremony with Indian girls taken from the crowd and invited to run up and down towards the border waving the Indian flag. The Indian and Pakistani squad leaders march up and down at each other trying to outdo each other in leg stomping, and high kicking that looks like a cross between can-can and goose stepping. Then they face each other, a final earth shaking leg stomp, salute, shake hands march to the end of the gate, and fling the gates closed. I find it heartening. 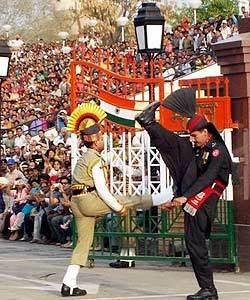 There is so much choreography, hated enemies or not the Indians and Pakistani have to plan and practice together. Hell the commanding officers probably sneak across the border to play chess. If war is ever declared I can imagine the scene: Goodbye Ahmed my friend, it was an honour to do the border ceremony with you, next time I see you I must try to shoot you. Yes Rahul, I will be sorry if through my brilliant marksmanship I kill you, may Allah have mercy on you. 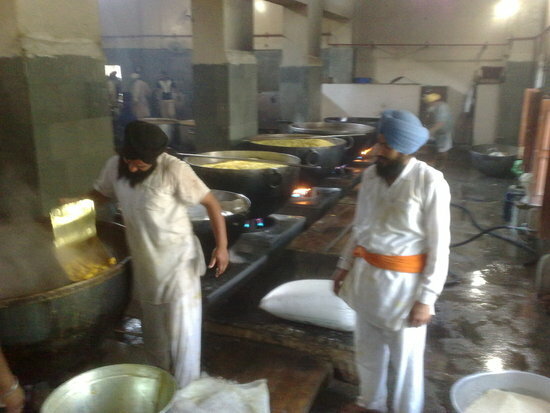 I'm fascinated by the kitchens at the temple, apparently on a busy day they feed up to 80,000 people. Like the ashrams volunteer service is part of a visit. I decide to help make chapatis, much to the amusement of a bunch of women and girls. I guess in 1 hour I make about 100 chapatis, which is probably double my chapati debt considering how many I've eaten. 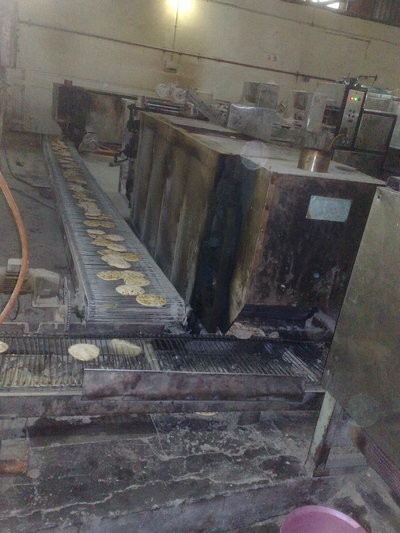 There's also an automated chapati machine but I guess it can't keep up with peak demand? They also need potatoe chopping, now here's something at which an Irishman can excel. I even get a try at one of the cauldrons. I'm cooking about 5kg of garlic in maybe 20 litres of boiling ghee. Then they dump 100kg of onions into my cauldron, which makes it a lot harder to stir, and I'm quickly replaced before the onions burn. That night it rains. I used to hate rain, but after months of sunshine and heat, rain seems really refreshing, and wonderful at clearing the air. Less wonderful for many of the pilgrims. 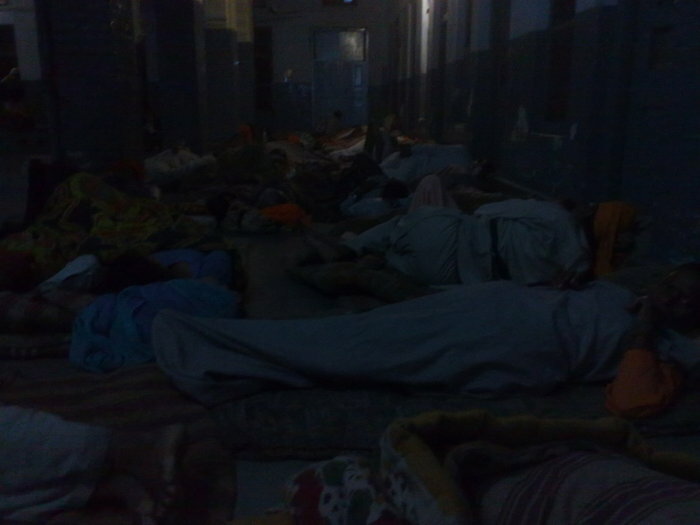 While foreigners get real beds in rooms, many of the pilgrims are just sleeping in the open, and end up moving into corridors and any covered space they can find. It looks like a refugee crises. Since the lake is called the pool of nectar, I decide I have to have a dip. As I get undressed a temple guard warns me I can dip in the lake but not swim, and admonishes me to keep my head covered. I thank him for informing me, and he sternly replies its his job. Somehow I get a nasty cold from this 30 second dip. Although the dorms are free donations are of course welcome. I drop Rs500 into one of the sealed donation boxes when I'm leaving. The dorm manager on seeing my carrying my backpack demands a donation. I tell him I've already put Rs500 in the box, but he says I should give him Rs500 too. I don't, but am annoyed that my perfect Klingon experience has been marred by another attempted cheat. Thanks for reinstating me to receive your blog. Interesting to hear about the kitchens, and catering for the masses, great pics too! It's turned rainy and cold here in London today. Hope the weather improves for Wimbledon starting in a week's time. Will you be heading to Tibet next? I thought finding this would be so audrous but its a breeze!